When I came on board in August 2014, LinkedIn had a problem: we were growing at 40% every year and we couldn’t fill roles fast enough. And while growing fast might be what you call one of those “good problems” to have, when you can’t meet demand, it becomes an extremely costly problem. As a result, the Talent Acquisition team was under intense pressure to source better and faster. The problem was, at the time they had no visibility into the headcount planning process and couldn’t forecast the number of hires for the year and resource effectively. That means they were constantly playing catch up and hiring more recruiters to try to meet demand. 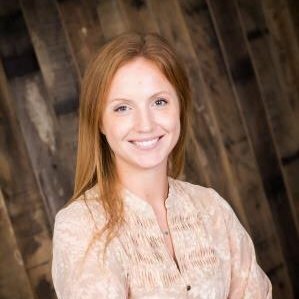 That’s when Talent Acquisition decided it was going to have to get more analytical to stay ahead and engaged our newly formed Talent Analytics team. 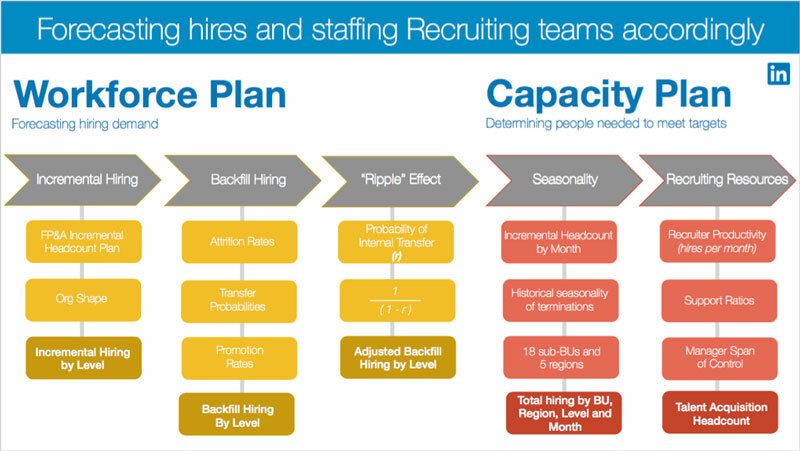 Our goal was to build visibility and accountability into the hiring process and in a little over a year, we came up with a resourcing model that was able to predict hires within 5% of actuals (meaning we almost perfectly predicted how many hires would be made and how many recruiters were needed to make those hires that year) while more effectively staffing the recruiting team to meet business hiring demand. Because we were able to predict staffing needs, we saved the company 15% of its recruiting budget in our first year, which covered the cost of the investment in our Talent Analytics team for more than 4 years. In order to keep our heads above water during fast growth times, we needed to work smarter, not harder. So, to predict hiring demand, we built a relatively simple model using the data we had available. We looked at the incremental hiring plan from the finance department and combined it with expected attrition rates and expected internal transfer rates to come up with our total expected hires for the year by business unit and region. When looking at these numbers, we tried to get as detailed as possible so that we could get as accurate as possible. Once we had the total hires, we looked at past data to identify when the hires were likely to happen throughout the year. Now that we had the plan and a way to update our forecast based on any changes in the business, we set about trying to make the recruiters we had onboard more effective. Before, each Talent Acquisition leader managed productivity and performance of their teams in their own way. But if we were going to meet intense business demand, we needed a systematic process and constant communication. So, we worked with recruiting leadership to set standardized goals for each recruiting team and began meeting monthly with the recruiting leads to review both their team performance and individual performance in relation to the capacity plan and forecast. We built dashboards in Tableau to make this data transparent and readily accessible. This kind of transparency also helped us be more flexible with resources across Talent Acquisition. For instance, if a team was understaffed, they could borrow resources from another team who was overstaffed, rather than doing an external search for a new recruiter. In addition, we knew that if we were going to meet hiring demand, we needed to make sure we always had enough recruiters trained and ready to work at full potential. For that to happen, we made a detailed calculation of how many recruiters, sourcers, managers and other Talent Acquisition support staff we would need on board in any given month throughout the year. This helped us identify when we would need to hire new recruiters and train them in time to meet expected future demand. By having these reviews, we were able to establish internal accountability and use data to show where there was underperformance in Recruiting, helping us to understand areas that needed attention. These meetings with HR and Finance weren’t very common before this change. Traditionally, the recruiting team would just get headcount direction from these departments on the fly and have to adjust its plans accordingly. Our goal was to change that and get Recruiting a seat at the table where they could become a consultative partner that has influence and input over the company’s headcount. The meetings now take place every quarter and their goal is to discuss our hiring forecast model and plan for any expected changes. For instance, did attrition spike last month? If so, should Talent Acquisition be pipelining more aggressively for a certain type of role or skillset? Are we expecting any major organizational changes that may affect hiring demand? With regular meetings to share information and discuss changes, we were better equipped to be more proactive partners. One example where this alignment helped drive the recruiting process forward was in our Engineering organization. As part of these early meetings between Finance, HR and Talent Acquisition, we realized that our Talent Acquisition team was focused largely on hiring entry-level engineers, while our HR team was seeing higher levels of attrition at more senior levels. This led us to understand that our hiring strategy was contributing to the overall organization becoming more junior over time, We were able to adjust our recruiting and retention strategy to focus more on senior engineers, which the team did with great success. This approach of forecasting hires using the data we had, implementing more accountability and performance management within the recruiting org, and creating more proactive channels of communication with those who influence our hiring plan, allowed us to have huge impact without adding a lot of complexity. Where before we would have scrambled to hire recruiters at great cost to the company, we were able to save 15% of the overall Talent Acquisition budget by dynamically shifting recruiters’ time to the areas of highest need and only hiring the people we absolutely needed to make the hires we forecasted. 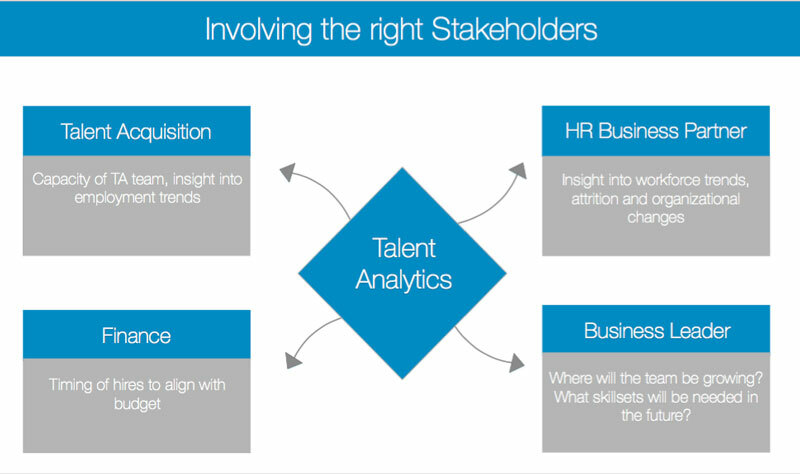 I hope that this piece is informative for companies thinking about forming a Talent Analytics team. The story outlined here is just one example of the considerable impact our team has been able to have on HR and talent strategy by bringing data to the table. A special thank you to Brendan Browne for his leadership throughout this project, Chris Pham, Hanna Cutler and Claude-Alain Descloux for their hard work, Jennifer Shappley, Tey Scott, and Tito Magobet for their continued partnership. Jennifer and Chris presented on this topic at LinkedIn Talent Connect 2016; you can find their presentation here.